What we love about Christi and Bergerons: We love working with vendors who are a cut above — they are NEVER satisfied with cookie cutter services, but go above and beyond to personalize their service for each bride — that is Christi and the team at Bergerons. They really care about each and every wedding. To us, Christi and her hard working team are kindred spirits, because they feel the same way we do! They get that it’s not just another wedding — it’s YOUR wedding! We also really love how warm and friendly Christi is — she has that ‘thing’ that makes you feel like you’ve known her all of your life and when you sit down to chat, it’s with an old friend. We are so happy to be working with Christi and the team at Bergerons. 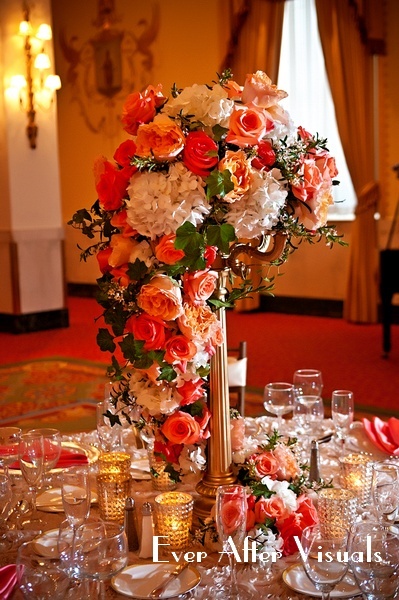 The year 2013 marks the 25th year Christi Lopez has been a floral designer. That’s a long time! Over 75% of businesses don’t make it past their first 5 years in business. That’s crazy, right?! So when I see businesses like Christi’s that have not only made it past those first trying years of business, but have grown and thrived, I applaud them for taking the industry standards and raising the bar.We had the wonderful opportunity to get to know Christi a little more and hear about her business and how it started. Christi’s Mom is her biggest fan, and for good reason. 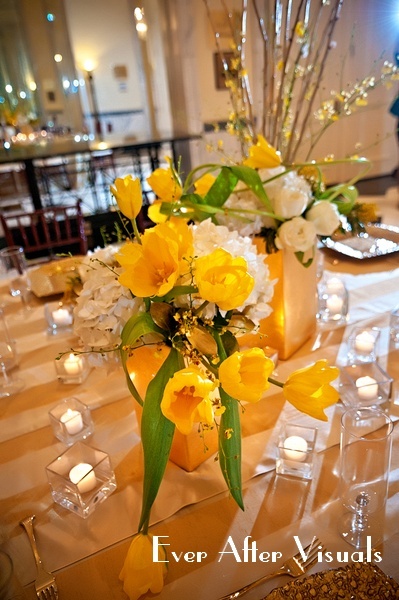 Christi, together with her Mom started designing flowers from their home. As time went on, Bergerons grew and the ‘Bergeron’s Bride’ became apparent. 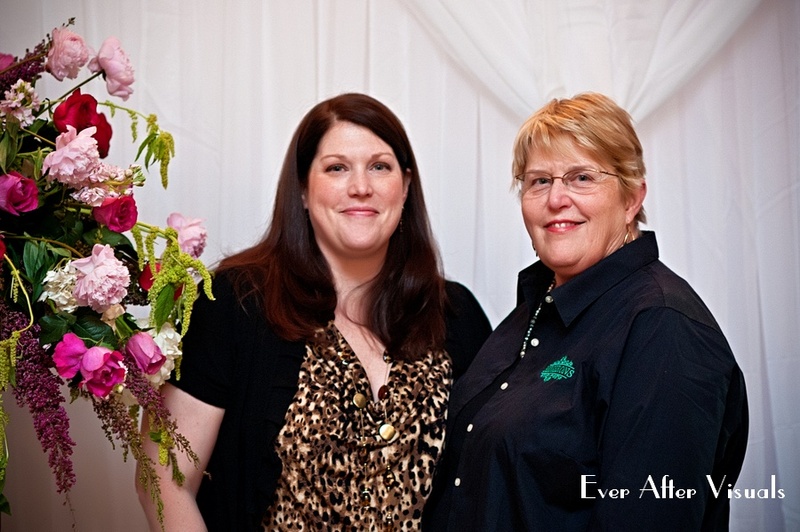 Christi and her mom, who helped Christi get her start in floral design. Christi is an incredibly hard worker as we got to see firsthand when we saw some of her creations that decorated The Mayflower for the recent Capitol Bridal Show. When I looked at each table, all I could say was “Wow”! 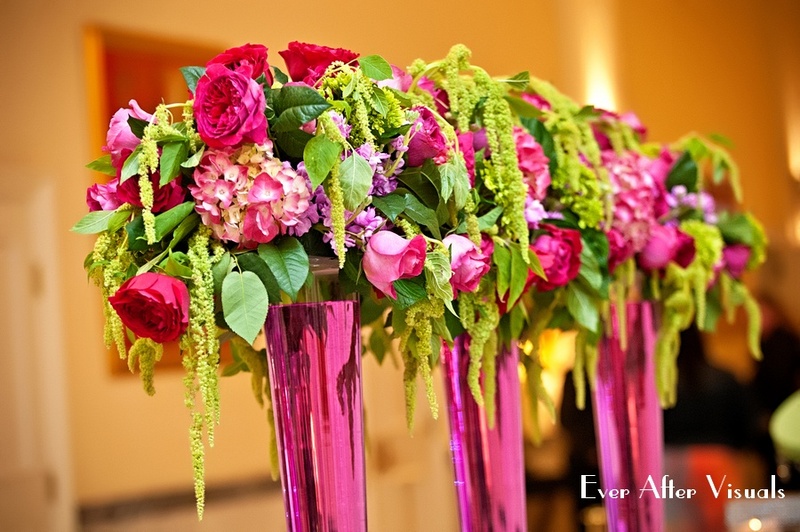 As wedding photographers, we have seen many floral designs … but we’d never seen any as beautiful or unique as these. One of the reasons we feel so comfortable recommending Bergeron’s for florals design is that we share a lot of the same philosophies on how brides should be treated. Christi also puts in a lot of effort meeting with each bride, and understanding what she would like to see on her wedding day. After each client meeting, Christi makes a recipe for each design then adds that to a spreadsheet. That way, the design is not left to only one person. 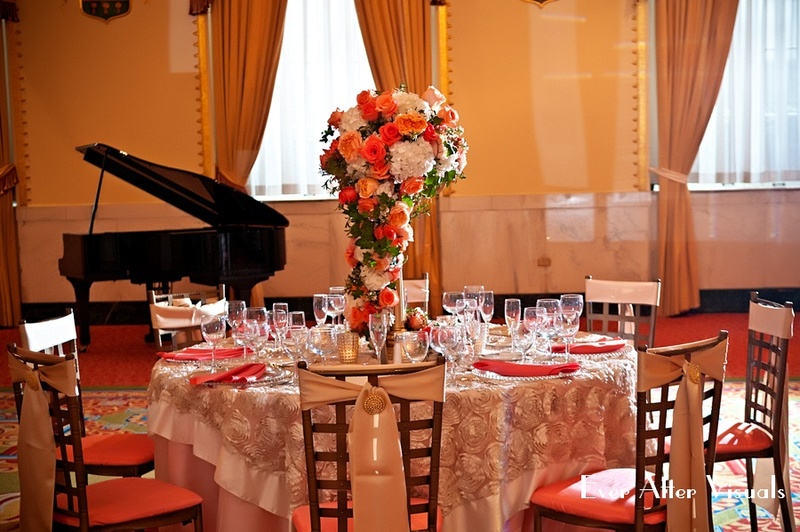 Also noteworthy is Christi’s most recent location: The Mayflower Hotel in Washington, DC. She was chosen out of many shops who bid to get that location. Christi’s dedication to detail – which is very evident in her work really sets her apart. She also really CARES about her brides and what they want. Christi tell us, “ I want to see how the bride is going to react when she sees her bouquet, and walks into the reception.” Whatever is most important to the bride, she makes sure that’s taken care of. Christi explained that many of the brides that see her come in with an idea or even an image that they’ve torn out from a magazine to show the feel they would like for their wedding day. The difference between hiring a florist like Christi at Bergerons and going to Costco is really as different as night and day — and it’s all in the process. Christi knows by looking at those images if the flower will be available in the month of the wedding, whether it will do well, if the weather is particularly warm as it is in the summer months, etc. 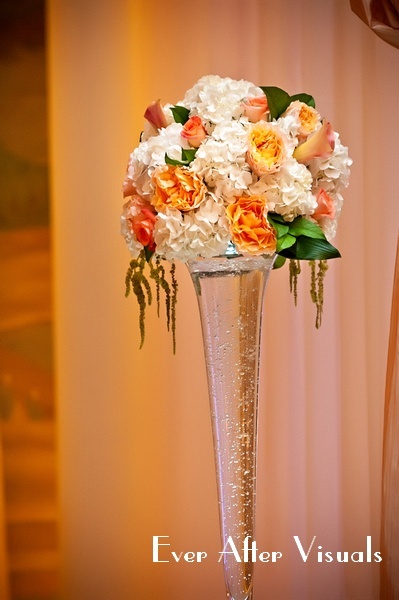 One of a kind florals — sophistication hand delivered! Have you ever seen anything so beautiful? She also individually times EACH flower to make sure that the peak of being open is exactly when the bride needs it. It’s that attention to detail that we love and why we feel so enthusiastic about recommending Christi. Why add all that worry and stress about which flowers will look good together, their blooming times and which flowers are in season when you can have an experienced professional like Christi take care of everything for you? AND each flower will look perfect, no wilted edges – in fact, they looked so perfect that when we saw her work, we had to reach out and touch them just to see if they were real! We would be remiss to not mention the amazing staff at Bergerons as well. Everyone we’ve met has been helpful and great to work with. Thanks again to Christi, Heather, and Aden, Erica, Amanda, Elizabeth, and last, but not least, Christi’s Mom. Christi has a great team. They all work so hard and we feel that the quality of their work shines through. 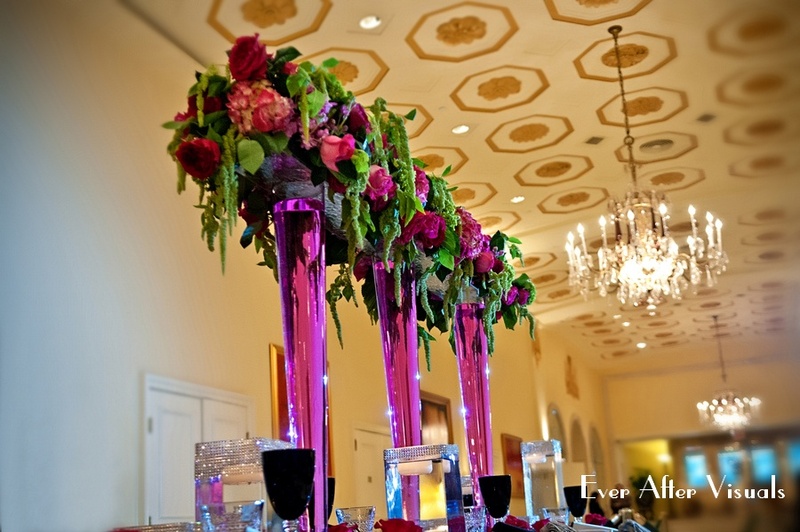 Thanks for making our job so much easier with such beautiful displays to photograph!